We are very excited to announce that we have recently received a £400,000 grant, which will provide vital funds towards our £1.5 million expansion plan. The grant will provide vital funding towards our plans for an 11,500 sqft packing and storage facility, to be built on-site, ultimately allowing us to increase production and volume and provide a more efficient service to our customers both within the UK and internationally, as well as allowing us to create 15 new jobs. 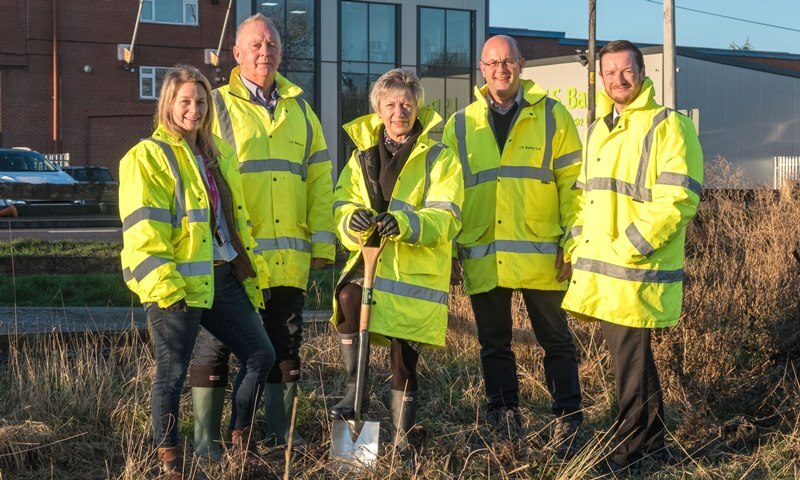 We were supported throughout the funding application process by the Skills and Growth Company of the Cheshire East Council, with the funding granted by the Rural Development Programme for England. This is an extraordinary opportunity for the JS Bailey team, allowing us to grow further, whilst continuing to manufacture and distribute high quality products. In our 35 years in business, we have grown substantially, outgrowing our original premises in Nantwich before moving to our current site in Calveley, and with the opening of our hugely popular on-site shop and café, Calveley Mill, in 2015 we opened ourselves to a whole new customer base. Of course, with Cheshire home to some of the world’s most famous cheese flavours, we are excited to expand our manufacturing to continue producing these globally renowned products. Keep up to date with the progress of our new facility, as well as industry updates on our Twitter page.